FRESH IDEAS for PROLONGING FRESHNESS (and SAVING $$ TO BOOT)! Are your bananas always turning brown before you have a chance to eat them? 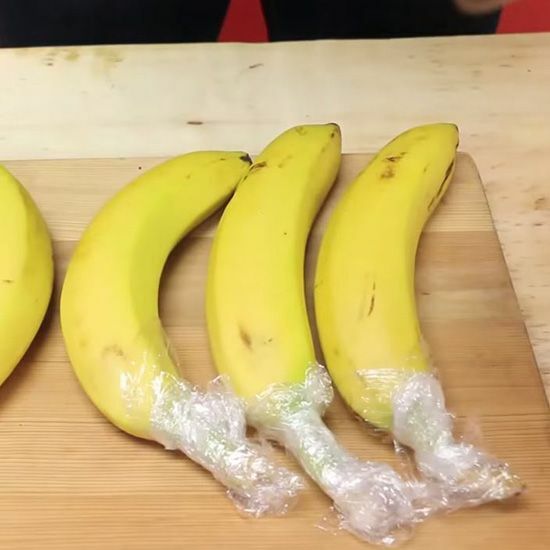 This simple hack will keep your bananas fresh longer. The secret tool needed? As you see, plastic wrap! First, separate the bananas from the stem. Then, wrap each tip individually with plastic wrap, making sure it's tightly secured. Double check that each stem is completely sealed off, and you're done. The gas bananas release, called ethylene, causes them to ripen quickly. So covering the stems helps prevent that gas from being released and your bananas will last up to 5 days longer! 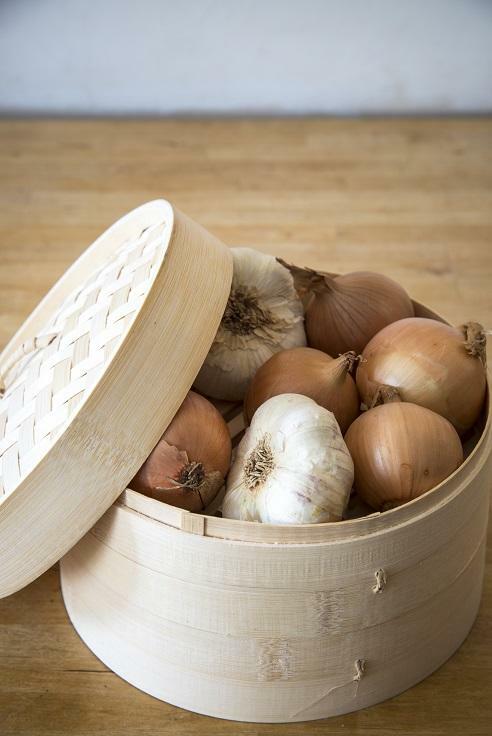 Be kind to your fresh garlic and onions by storing them in a bamboo steamer. This approach gives them a cool, well ventilated home that protects them from the light (which will prevent sprouting, which means they’ll be edible for much longer). 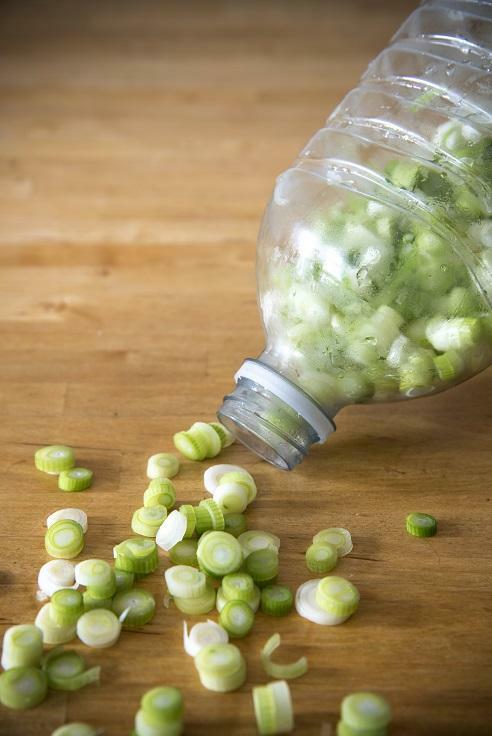 This isn’t really a money-saver, but it’s definitely a time-saver: Slice spring onions in advance and freeze them in an empty plastic water bottle. When you need them for a stir fry, salad, stew or anything else, shake out what you need and return the rest to the freezer. 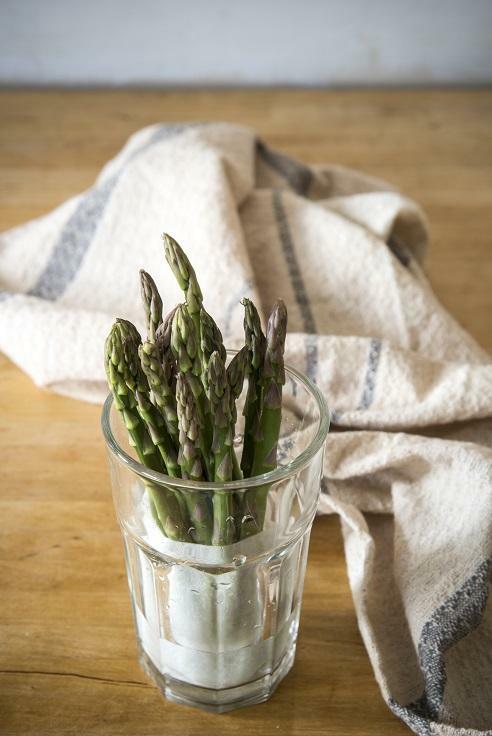 Wrap damp paper towels around the bases of your asparagus or put them upright in a glass with about an inch of water, to keep them hydrated and slow down wilting. 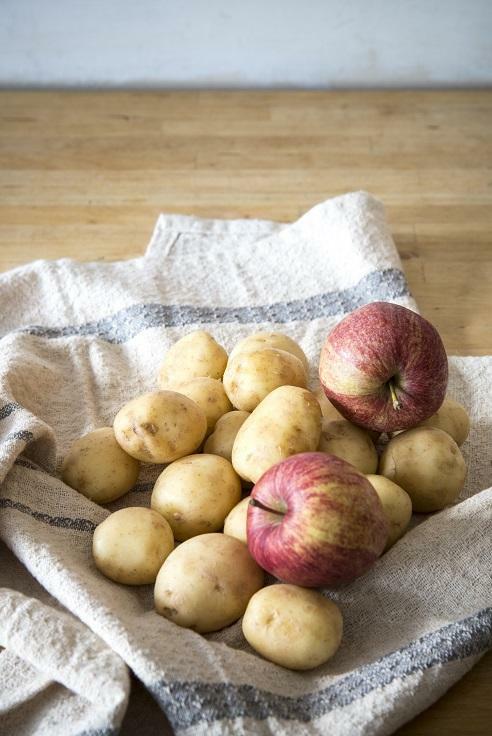 Store an apple or two in a ventilated bag with your potatoes and keep them in a cool, dry place. This will prevent sprouting, due to gases emitted from the apple. 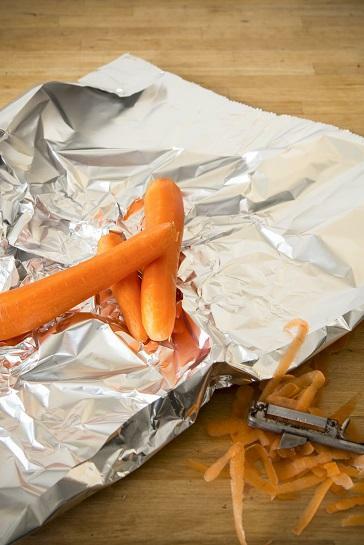 Store fresh, raw, peeled carrots in a plastic bag (with as much oxygen squeezed out as possible) or aluminum foil in the fridge. Stored like this, they will last up to two weeks. 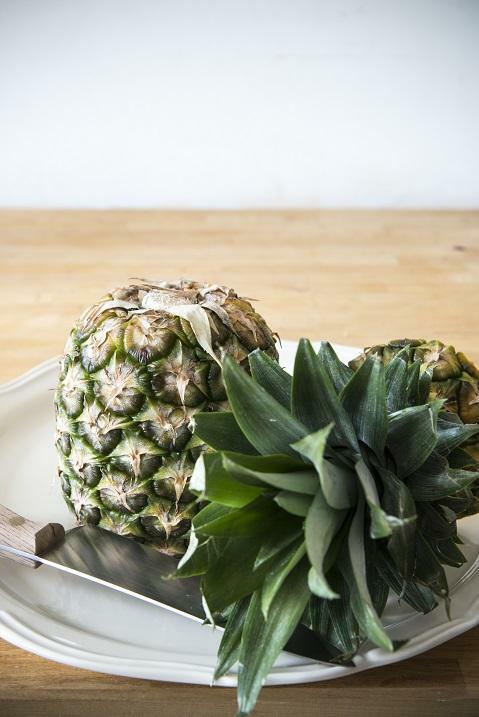 Cut the leafy tops off your pineapple and store the fruit upside down. This helps redistribute the sugars that sink to the bottom during shipping and keeps it fresh for longer. 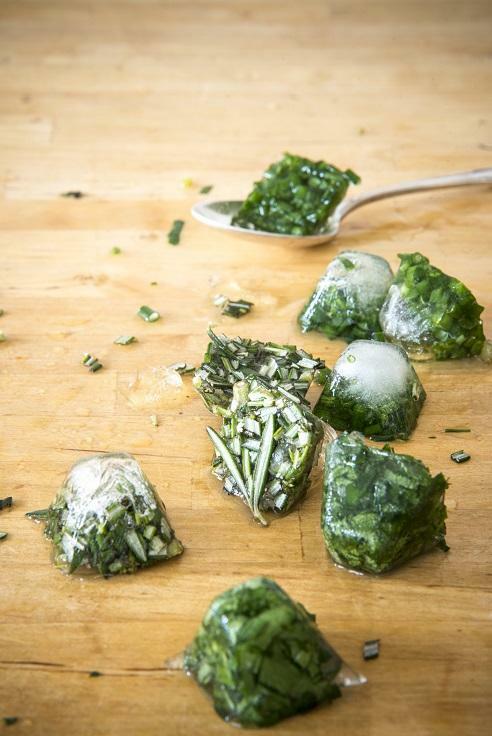 In case there are any Cook’n readers that don’t already know/do this: Freeze leftover herbs in ice cube trays to retain their freshness. Just place the chopped herbs in a tray, fill with water and place them in the freezer. When you’re ready to use, just pop as many cubes as you need into your cooking and the water will evaporate, leaving you with fresh herbs every time. Or better yet, freeze fresh herbs in olive oil. Why? Preserving herbs in oil reduces some of the browning and freezer burn that herbs are susceptible to in the freezer. It's also a great way to have herbs ready immediately for winter stews, roasts, soups, and potato dishes. 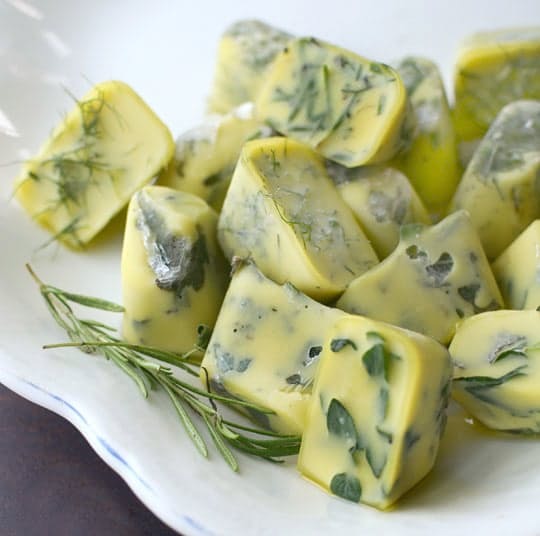 These dishes usually call for oil to start with, and so you can take a cube of frozen oil (with herbs inside), out of the freezer and use this as the base of your dish. Cook the onions and garlic in this herb-infused oil and let the taste of herbs spread through your whole dish. Given this use, the oil-and-freezer method of preservation works best with the tougher hard herbs such as rosemary, sage, thyme, and oregano. These are all herbs that would probably be cooked when added to a dish. Food You Are Throwing Away, But Shouldn’t! Oh That Clever Crescent Roll Dough! Have You Ever Heard of a Pizza Grilled Cheese? Box Grater to the Rescue!